The three-episode season starts with 10 Streets That Changed America. Go on a whirlwind tour of 10 streets that changed the way we get around: from Broadway in New York and Wilshire in Los Angeles, to Boston Post Road and the Lincoln Highway. Find out which 10 streets made the list! 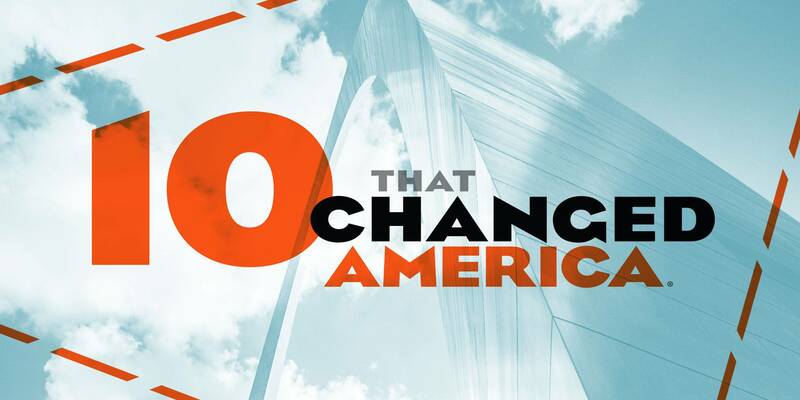 The Gateway Arch and Eads Bridge in St. Louis make the list of episode two (10 Monuments) and episode three (10 Modern Marvels), respectively. Local broadcast is generously sponsored by Mackey Mitchell Architects (title sponsor), Bellefontaine Cemetery (major sponsor), Ironworkers Local 396, St. Louis, Missouri (supporting sponsor).